by Jacob Schaffel-Scherrer “Why don’t you pass the time by playing a little solitaire?” These seemingly innocent words are turned chilling as they are spoken to trigger the brainwashing of a United States soldier in John Frankenheimer’s neo-noir/political thriller, The Manchurian Candidate. Released in 1962, the film follows Raymond Shaw (Laurence Harvey), a Korean War veteran who has been captured and conditioned by Chinese communists to become an assassin. The film’s main themes have since become tied to both Kennedy assassinations as well as the Red Scare and McCarthyism. 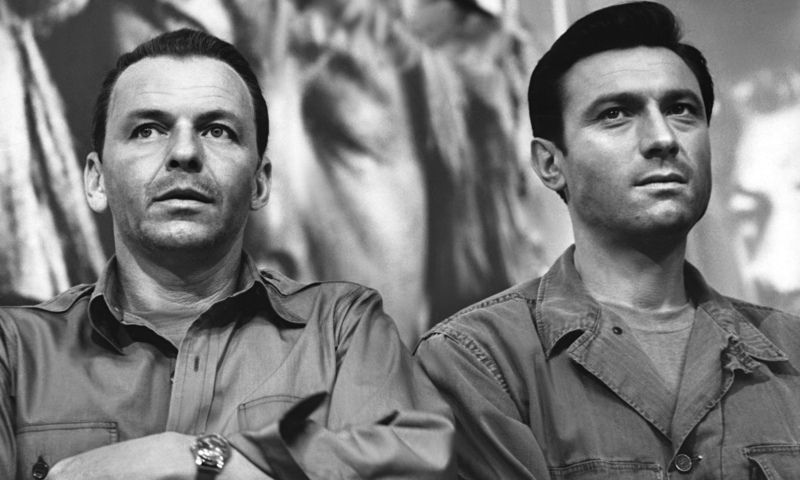 The film then shifts attention to Major Bennett Marco (Frank Sinatra). He, like Shaw, was part of the unit captured and conditioned by the communists. He has been promoted to Major and assigned to Army intelligence. While his position is good, his main issue is a recurring nightmare that is later shown to be a horrifyingly real flashback. We witness this dream, and it’s a fantastically surreal sequence. The members of his unit all sit in what they believe to be a garden club, but is, in reality, a meeting of various communist leaders and politicians. The editing cuts between the soldier’s subjective reality of a brightly lit room surrounded by plants and older women in dresses and hats, to the objective reality of the stage on which they are being shown, surrounded by huge pictures of Mao Zedong and Joseph Stalin. They all sit calmly and compliantly as Dr. Yen Lo (Khigh Dhiegh), who has brainwashed them all, demonstrates the full power he now has over them. In a brutal show of force, the doctor commands Shaw to murder two members of his unit. Shaw does this immediately, and with no sign of emotion or hesitation. Marco wakes from this nightmarish flashback and goes on to use it as the basis for his claims and eventual investigation of Shaw’s brainwashing. The film weaves such scenes of surrealism into a series of cold, politically-charged exchanges. Apart from the “garden club” sequences, many of the scenes are shot in a way that conveys a sense of bizarre uneasiness. An early example in which Senator Iselin is giving a speech shows him in the background, while a television broadcast of the event is placed in the foreground. The senator at the podium yells and screams about the evils of communism, while the news footage shows the event from the television audience’s perspective. The eye flits between the animated senator on the shaky screen and the real life senator in the background, adding to the overall paranoia and confusion of the situation. The Queen of Diamonds playing card, or as it’s referred to, “the Red Queen,” is Shaw’s brainwashing trigger. In order for him to see the card, he is told to play a game of solitaire. Once he sees the card, he’ll obey anything anyone tells him without hesitation and without any recollection of what he did afterwards. In a later scene, Shaw sits in a bar waiting to meet with Marco. He overhears the bartender telling some of the patrons a story about an argument he got into with his brother-in-law. To try to calm him down the bartender told him to “play a game of solitaire.” Shaw demands to see a deck of cards and finds the “Red Queen” just as Marco arrives. At that moment, he overhears the bartender say in his story, “Go up to Central Park and go jump in the lake.” Shaw leaves the surprised Marco at once and takes a taxi to Central Park. Marco follows and watches Shaw jump into the icy water, realizing just how much power the conditioning has over Shaw. As the film progresses, the plot becomes increasingly more complex. Senator Iselin is the leading force in the anti-communist movement and the running mate of the Republican Party’s candidate. Modeled off real-life senator Joseph McCarthy, Iselin attacks and yells over anyone he believes might be a communist and claims that many of them have infiltrated the U.S. Defense Department. This leads to the main plot of the film; Shaw’s mother is the true mastermind of the evil communist plan. She leads her husband to stir up anti-communist sentiment to cover for her involvement with the communists. Then she plans to use the brainwashed Shaw to assassinate the Republican presidential candidate, allowing Iselin to win the presidency as the heroic candidate rising from the ashes of his fallen comrade. The climactic and heart racing finale of the film sees Shaw, who Marco may or may not have broken of his brainwashing, being ordered to carry out the assassination and sneaking into Madison Square Garden (the site of a large political convention). He climbs to a predetermined spot and begins to build a sniper rifle in order to kill the presidential nominee, thus finishing the communist plot. Marco realizes what is going on and rushes to stop it. The tension rises as the films cross cuts to the different characters at their separate locations within the convention. Marco is in uniform among the other soldiers, Iselin and Shaw’s mother are in the front row, and Shaw himself is in the rafters. The National Anthem is sung and the cutting becomes more frequent as Shaw assembles the rifle, Marco frantically scans the arena with his eyes, and Shaw’s mother stands in cold silence awaiting her triumph. While the whole film has followed an intricately constructed plot, the final moments come together in an incredibly suspenseful and dramatic race against the clock. 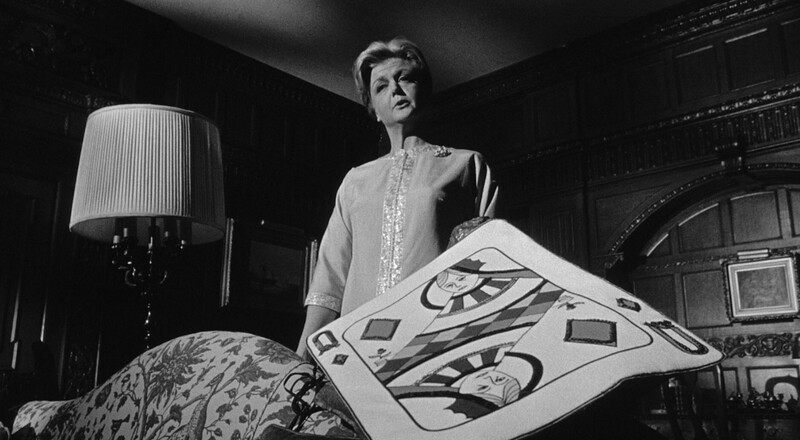 The Manchurian Candidate flows with excellent pacing similar to that of a film made in the last decade as opposed to one made over 50 years ago. With snappy editing and palpable tension throughout, it feels like a much shorter film than its 126-minute runtime suggests. This is of course also due to the compelling plot, intense visual style, dramatic tension and excellent performances, which take you into a story that has stood the test of time and will not soon be forgotten. Tags: Jacob Schaffel-Scherrer. Bookmark the permalink.